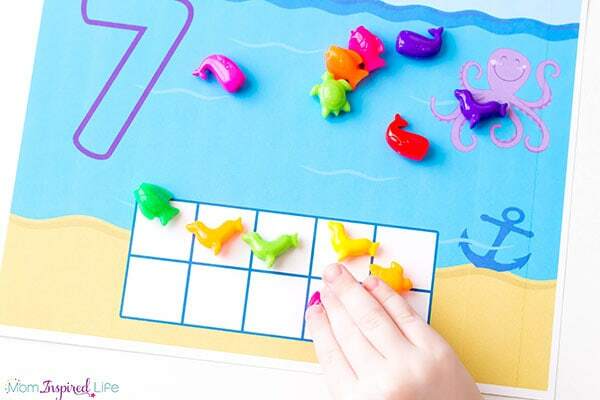 These ocean counting mats are such an inviting way to practice counting and number recognition this summer! It’s the perfect addition to an ocean theme. 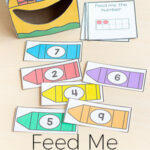 I am beginning to teach my toddler how to count and using manipulatives is great way to do that. 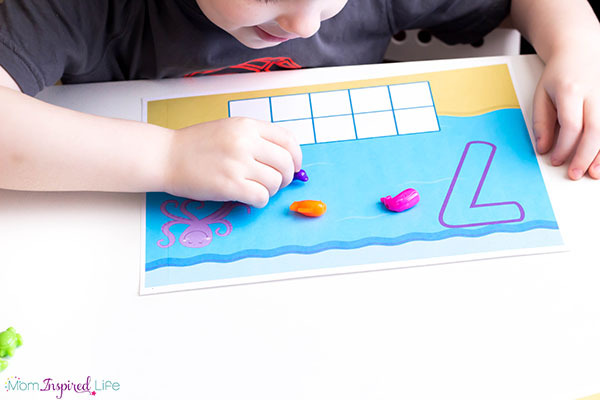 Themed counting mats are just another way to spark her interest. My five-year old thinks they’re pretty cool too. Because summer is approaching, ocean activities are popular. 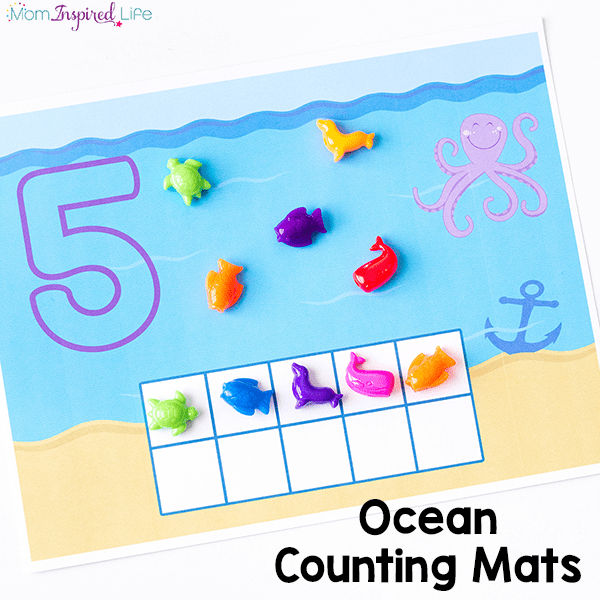 My kids are very intrigued by all things ocean and ocean animals, so I knew these counting mats would be very well-received. I was definitely right. 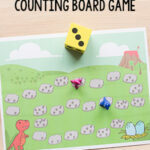 Print out the counting mats on cardstock. Laminate them for extra durability, if you would like. 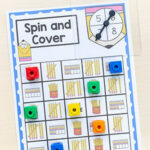 I plan to use them as play dough mats as well, so I will laminate mine. I put a pile of the beads on the table next to the counting mats and invited the kids to check them out. They were pretty excited when they saw the ocean animal beads. I can tell they are going to be used quite often this summer! I showed them how each mat had a number on it and then modeled how they could put that many beads in the ocean and on the ten frame. 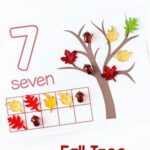 My 5 year old quickly got to work doing this with the number 7. He counted out seven ocean animals and placed them in the ocean. 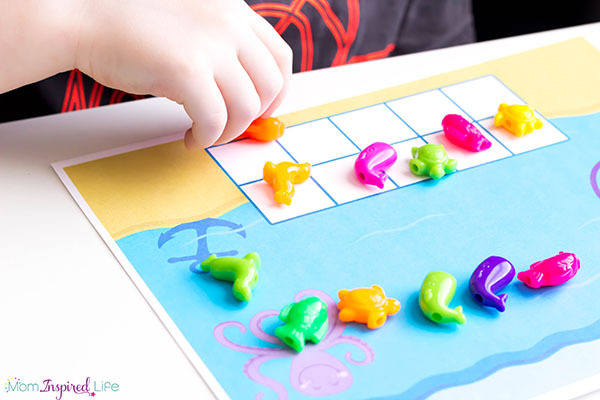 Then he added seven ocean animals to the ten frame. You can just have them place the animals in the ocean or only in the ten frame, but my kids enjoyed doing both. 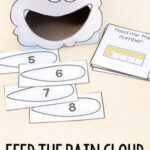 My toddler worked on counting small numbers like one, two and three. 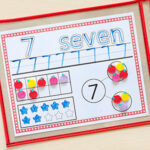 She also enjoyed just playing with the beads on the mat and “pretending” to count out random numbers. 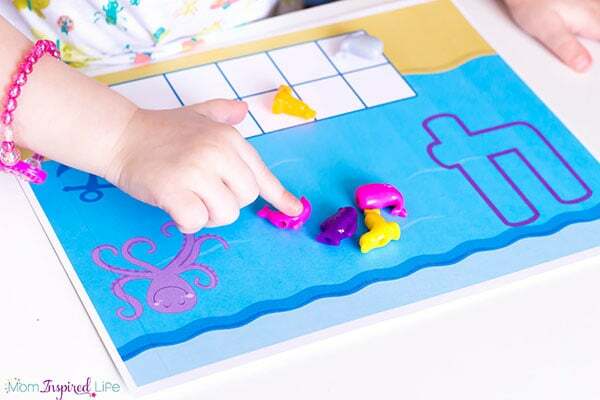 Eventually both kids just used the mats and beads for lots of fun pretend ocean play. Playing with the beads was great fine motor practice for both of them. I can’t wait to use the beads for lots of other fun activities this summer! 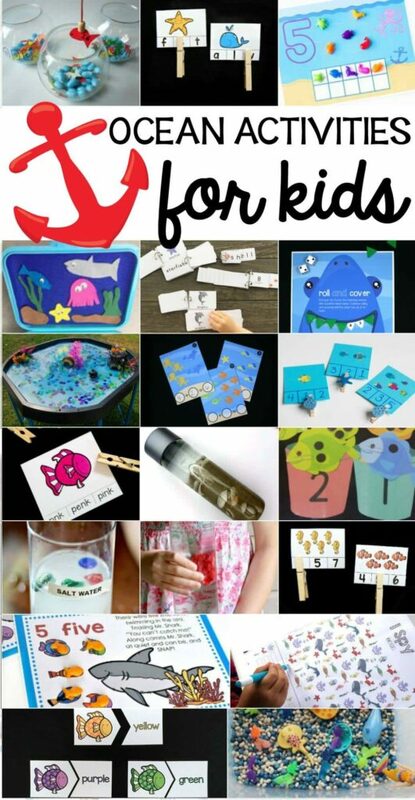 Check out all of these other awesome ocean activities for kids!